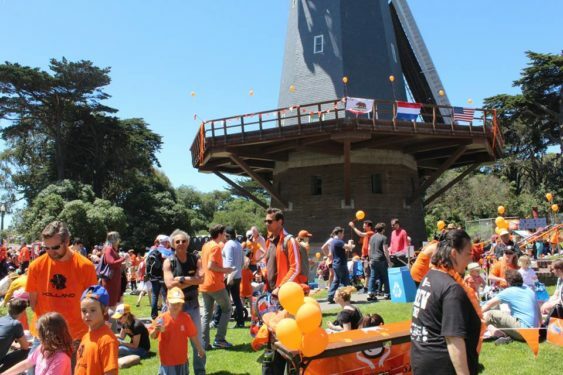 The Dutch community in San Francisco invites you to celebrate King’s Day 2019 near the Murphy Windmill on the south end of Golden Gate Park. King’s Day, the biggest national celebration in the Netherlands, is returning once again to San Francisco. Dutch King’s Day San Francisco will be a fun-filled day with traditional Dutch games, a flea market, Dutch food, beer, music & more. 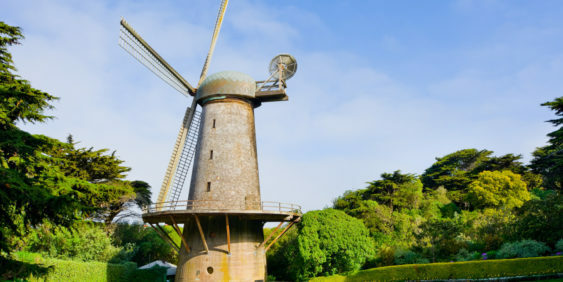 Most likely the windmill will be turned on (weather permitting), so it’ll be a rare day to see one of Golden Gate Park’s windmills in action. Everything and everyone turns orange to celebrate not just King Willem-Alexander’s birthday, but also Dutch culture and the Dutch way of life. The Netherlands’ national color is orange because the Dutch monarchy is the “House of Orange.” You will see it in abundance on King’s Day, so grab all of the orange you have in your closet (dust off that Halloween and Giants gear).